Minnesota Timberwolves is one of the most prominent teams in basketball; NBA fans are bound to be curious as to how the team came by its name. Of course, there is a story behind it, one that some might find interesting while others might actually consider it rather funny. The wolf is considered as an endangered species in all 48 US states but in Minnesota, it is considered as only threatened since the state has prohibited the taking of wolves. Wolves have since that time (1974) become comparatively stable, and at the moment there are around 1200 wolves in Minnesota State alone, compared to 75 wolves in all other states. Another interesting fact is that the species of wolf in Minnesota is known as ‘Timberwolf’. The name Timberwolves was chosen along with 1284 other nicknames given by 6076 entries received after the conclusion of Name the Team contest in 1987. Timberwolves was one of the most favored and was suggested by 17 individuals, hence it came as the final name where the Polars came as the second best name suggested by the participants. Other names did not resonate with the history of the area, had no specific ring to the name. A final decision was made by a city council that sorted through the received name suggestions. At the same time, the Timberwolves mingled with the culture and part of Minnesota, and has a character of its own. Compared to other nicknames which were about fish, outer space, animals, other team names, this was most favored since the state hosts the International Wolf Center, research as well as exhibit center for the Timberwolves, and is the main sanctuary and home for the Timberwolves. The wolf was chosen for the name and later on for the logo as well since it is considered as an animal that is characterized by the fact that it is a strong, aggressive and at the same time is not known to be sinister. That is how the Minnesota Timberwolves, an NBA team and the best team in the state of Minnesota, came to be named after the Timberwolves who are also residents of the state. 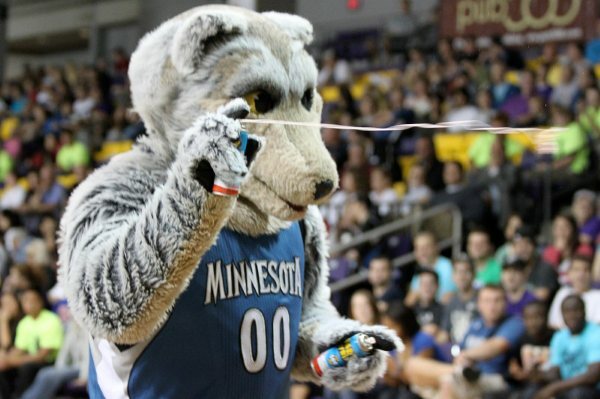 It is rather nice to note that the team has gone on to make a reputation for itself that is similar to that of the Timberwolves in respect to strength, character, aggression, and ferocity. They have been the Timberwolves since 1989 and for fans; it is hard to imagine them as anything else. Still, it is nice to know that your favorite basketball team has the character and strength that a Timberwolves are characterized by just like their namesakes. You can go here for NBA tickets without service fees to watch Minnesota Timberwolves games live. Years later, the Timberwolves have Minnesota as their home, a forest range that is almost a third of the whole state is the least accessible of the forested areas, and it is there that most of the wolves are found to this day. A zoo and a science museum are all part of the state that is home to the Timberwolves – the animals, and the Minnesota Timberwolves – the basketball team.